Be the first to hear about their new releases and deals. Download the Booksprout app and search for Elisabeth Naughton today! 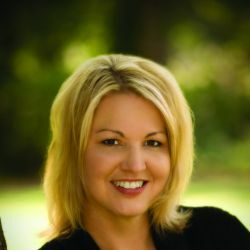 Though primarily known for her romantic suspense work, Elisabeth has penned over thirty books and continues to write in multiple genres, including paranormal romance and contemporary romance. Her books have been translated into numerous languages and have earned several award nominations, including three prestigious RITA® nominations from Romance Writers of America. In 2017, REPRESSED, the first book in her Deadly Secrets series, won the RITA® for best romantic suspense.